Washington City Paper’s Readers Poll “Best Agent” 2015 and 2017. Compass Senior Vice President Jennifer Knoll has been a leading, highly respected real estate agent in Washington for more than a dozen years. Known as smart, hardworking and loyal, she patiently guides clients through each step of the process, specializing in upper-bracket homes in Northwest Washington and the close-in suburbs. With notable industry knowledge and neighborhood expertise honed over 20 years living in the region, Jennifer works with buyers, sellers, developers, and investors at every skill level. In addition to being recognized by Washingtonian as a Very Best Agent and Top Producer four years in a row, Jennifer was voted 2015 and 2017 Best Agent in the Washington City Paper's readers' poll. 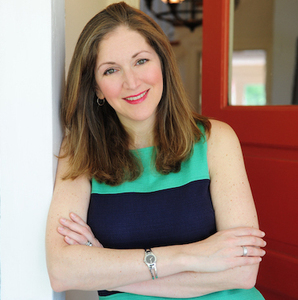 Prior to her successful career in real estate, Jennifer worked as a journalist covering news and politics from Washington, D.C., and Tel Aviv, Israel. Jennifer resides in Chevy Chase with her three children. Jennifer is an annual school sponsor at her twin daughters' school, Alice Deal Middle School, and her son attends Wilson High. Jennifer proudly donates a portion of each commission to organizations supporting the environment, civil rights, and women’s rights.